We are from the Cambodian Charity Organization based in Phnom Penh Cambodia. 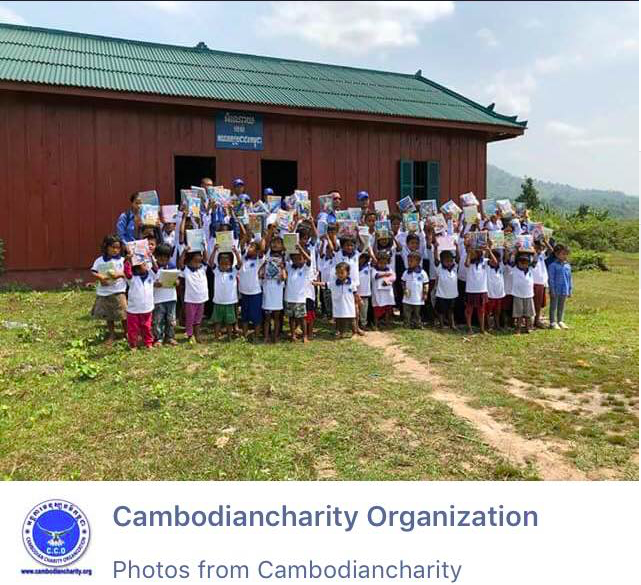 This school Located at Phum cham Srey, Kampong Seila Commune, Kampong Seila District, Sihanouk Ville Province, cambodia.This school have to upgrade and repairs for more comfortable and it can improves teaching and learning environment. This school is a private free school. Management and financial fully supported from pupil parents and from donations to make this school exist. We have a large fundraising goal for this school especially for the main building that should be rebuild to meet the standard of classrooms and suitable for learning.There have 120 kids age between 4 to 12 years in this village, due to the existing school building cannot cater the amount of student, some of them missed the class. The nearest school under the government is 20 kilometer from their resident. It's possible to them to go without transportation with that far. We need your support on our project to this school for a better education for poverty kids.What we will do with your donations. 1. To upgrade the school building and facilities- Our plan to resize the school building with three classrooms and one teachers room. Now there have only one classroom. The building facilities, tables, chairs, white board, furniture. And also for the lighting system in the classroom by using solar system to generate the power. 2. To provide- Sanitation system, drainage system, clean water supply and with proper access road from the main road to the main building. 3. Teaching materials, books, stationeries, education tools and etc. 4. Sport equipments- Balls, skipping rope etc. 5. Salary/reward for a volunteer teachers and assistanceI would greatly appreciate your help in reaching this target because of the future of the kids. Support local government efforts to expand community based preschools for children who do not have access to formal preschools. The programs targets pockets of the country with low admission and high repetition rates in primary school, and aims to improve the chances that children will enroll in primary school at the right age. Support the modelling of new approaches to reduce disparities in education, such as bilingual education, preschools and integrating children with disabilities into the preschool system. Advocate for policy initiatives that address the holistic development of children, including development of an Early Childhood Development National Action Plan. Support home-based programs, which train parents to create a stimulating environment at home that promotes early learning for their children. Support preschool teacher training, which focuses on child’s center and holistic approaches and quality monitoring of early childhood activities. Support the development and implementation of a holistic curriculum, including early stimulation of language and motor skills, as well as good hygiene and sanitation practices.